Cover events from pre-Columbus days to the election of 2010 in this U. S. history course. 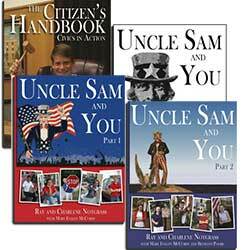 The homeschool kit contains the necessary components for one student and one teacher. 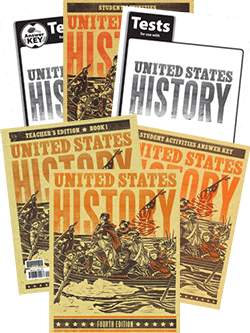 BJU Press United States History Homeschool Kit 4th Ed. 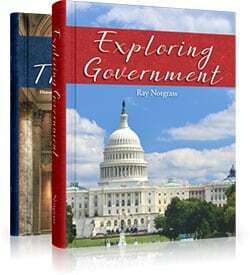 Contains lesson plans and teacher helps, full-color reduced student pages and a CD with additional resources. Full-color reduced student pages with teaching instructions and tips in the side and bottom margins of the TE page. Teaching Strategies are identified with icons in the bottom margin with directions for activities such as Arts and Crafts, Bible Study, CD, Charts and Graphs, Group Activity, Homeschool Activity Writing, and more. Includes activities to reinforce and review learning such as various types of questions, maps, charts, and tables work, and other related activities for reinforcing learning. With the answers overprinted in red on an exact copy of the Student Activities Manual. Student Tests (#268946, ISBN-13: 9781606820049) is one set of consumable United States History Tests for a single student. A variety of types of questions is included such as short essays, true-false matching, short answer, and multiple choice. 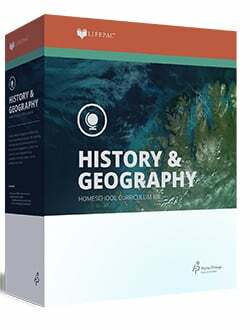 Test Answer Key (#268920, ISBN-13: 9781606820032) is the answer key to the United States History Tests. Answers are overprinted in red on an exact copy of the student tests. for an additional 10% off the price of this Bob Jones homeschool kit.